Each year at SeaTrade we reminisce about how much cruising has grown since its inception, but this year, the industry is on the cusp of one of its most massive growth spurts yet. In addition to the ongoing and constant introduction of new tonnage by the mass market heavyweights, this year multiple new players are about to introduce ships into service in the premium, luxury and expeditionary cruise sectors. Cruising always offered different options to the public however the pending industry growth and expansion of riverboats, luxury, expedition and other cruise experiences means that the future of cruising is all about diversity. The technology, innovation and imagination of the industry continues to startle and amaze. Cruising has moved beyond baked Alaska, buffets and shuffleboard to tattoos, rollercoasters and polar expeditions! Indeed, today a cruise exists to suit every preference and (almost) no destination is out of reach. The wealth of cruising options available to the public is immense. Big ship, medium ship or small ship? Alaska, Asia, Europe, Galapagos, Antarctica or a world cruise? Family fun, reunion or romantic getaway? Theme cruises? Broadway and Vegas style entertainment? The cruise industry continues to diversify and grow and so does the consuming public’s choices and options for cruise experiences. Notwithstanding all the enticing bells, whistles, gimmicks and innovations, every new cruise ship still requires officers and crew to serve its guests and safely operate the vessel. As cruise industry technology continues to advance, the need for certain specialized training amongst the crew increases. Training and investing time to educate crew is not an inexpensive matter. For every new LNG powered vessel and innovative technologies in bow thrusters, propulsion & emission systems mean additional training and certification amongst the crew is needed. The newest generation of cruise ships crosses the spectrum of small mega-yachts to multi-thousand passenger-ships akin to a small city. For a seafarer, this diversity implies totally different work spaces, conditions and operations, thus different training. With the expansion of the luxury sector, this creates a demand for crew that can provide superior service. Luxury brands tend to attract a repeating loyalty base of customers who acknowledge and expect consistent superior service. Many luxury operators focus on the guest-crew ratio, aspiring towards one crew member per paying guest. However, this means that these seafarers must often do multiple tasks to make up for the lack of other crew. Not every crew member is capable of delivering high-end 5- or 6-star service. To this end many luxury operators have their own schools or programs devised to provide specialized service training for certain crew to meet the high demands of its customers. Perhaps the biggest pending expansion in the cruise industry is within the expedition sector. Traditionally these types of voyages were entirely destination driven but bare bones minimal so far as service and cuisine. The new expedition ships boast 5- and 6-star service complete with helicopters, submarines, decompression chambers and expedition leaders. The high degree of technology, service & innovation encompassed in these new vessels combined with specialized polar navigation rules and remote, isolated and longer itineraries implies a further need for specialized training and certification amongst crew. All the above implies that as the cruise industry continues to grow and diversify the training and education of seafarers will also diversify and as a result continue to be more complex and costly. Accordingly, cruise operators should look to protect the substantial investments they are making in their crew in order to train them for these diverse cruise experiences. The LNG engineer, the personal butler and the expeditionary team leader are all seafarers, each with a unique skill set relative to the vessel they are employed on. Having to replace any of these jobs can be challenging. Accordingly, each of these crewmembers should be viewed as an asset to be protected and retained. As part of any employee retention strategy, the offering of employee benefits should be highly considered. 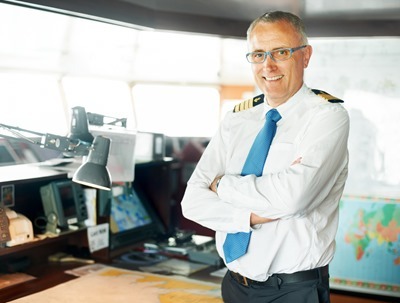 Indeed, many existing cruise companies have taken their obligations under the Maritime Labour Convention (2006) seriously and already provide some crew with a basic benefit package that includes insurance and retirement account(s). The new entrants into cruising should definitely take note. The diversification of the industry will require diversification of crew. Competition for competent and diverse crew will only increase over time but providing a menu of benefits to your crew can help to ensure that they remain happy in the job, and able to contribute to the company’s future successes. MHG offers a diverse package of benefits for seafarers. Come and see us at Seartrade, Booth 2349! Cruising always offered different options to the public however the pending industry growth and expansion of riverboats, luxury, expedition and other cruise experiences means that the future of cruising is all about diversity. The cruise industry has always provided an amazing opportunity for those looking to travel as well as expand their career to something different from the norm. However, seafarers don’t simply step onto the gangway and into a job. A cruise operator must place substantial time and expense in sourcing, recruiting and training of its seafarers. With the cruise industry currently on the verge of a massive expansion over the next 5-7 years, sourcing, recruiting, hiring, training, and ultimately retaining quality competent and qualified crew will be a critical factor for the successful cruise operator going forward. At last count, there was a minimum of 125 new cruise vessels on order. Remarkably, this growth expands across the spectrum of this industry, ranging from gigantic mass market behemoths to small, medium sized, luxury and expeditionary vessels. Accordingly, a conservative estimate of new seafarers to be sourced, hired, retained and required to crew this influx of diverse vessels is upwards of 150,000. With all this growth, and new cruise ships of all types and designs on the horizon, what steps have you taken to get yourself ready? Not only will a plethora of new crewmembers be required, but the future of the cruise industry will entail more advanced crew specialization, including sectors that have never been seen before. The evolution of LNG (Liquid Natural Gas) power will necessitate new specialized technical education and training for engineers. Up to 40 new luxury vessels (and counting) implies a need for staff with a higher level of white glove, concierge service experience. The over 28 new expedition class vessels will look to combine LNG technology as well as luxury service, which will result in crew that may need to be specialized in several different areas to keep onboard staffing as low as possible given the smaller capacity of these ships. In short, the cruise industry overall will need to recruit, train, and retain a new generation of specialized seafarers. Retaining the best crew in the wake of industry expansion will only become more of a challenge as the demand for quality specialized crew becomes more competitive. Thus, having a long-term strategy in place for employee attraction and retention will be imperative. A happy and contented crew results in higher productivity, less turnover, and as a result, hopefully, increased revenue. There are many factors that affect overall job satisfaction: working conditions, opportunity for advancement, workload & stress level, co-workers & management and of course financial reward. Increasingly though, financial reward cannot be limited to just money in the bank at the end of the month. The solution lies in an integrated employee benefits package; and this package takes on an increased level of importance as it not only affects the officer or crew member but potentially their dependents as well. MHG Insurance Brokers offers different insurance solutions for many areas of business. 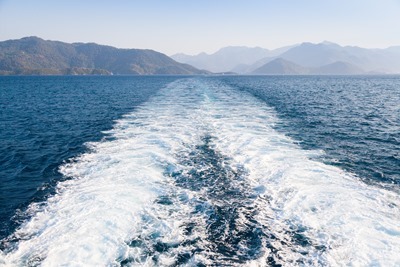 Our years of experience in working with the marine industry can assist you in maximizing the overall value that a solid benefits package brings to the table. If you would like to discuss a rolling benefits strategy, or are interested in purchasing marine crew insurance, contact us at mhginsurance.com or call us at +1 954 828 1819 or +44 (0) 1624 678668. Our insurance specialists have the knowledge and experience to assist and guide you to the best coverage for your budget. MHG Insurance Brokers will be at Seatrade Miami this year! Come see us at booth 2349! With the cruise industry currently on the verge of a massive expansion over the next 5-7 years, sourcing, recruiting, hiring, training and ultimately retaining quality competent and qualified crew will be a critical factor for the successful cruise operator going forward.